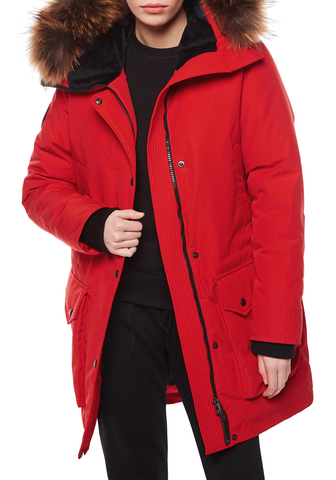 Women’s CHILL winter down coat is made of membrane 6000/6000 with WR treatment and goose down insulation. Removable illustration detail at the back on snap closures. Insulated outer pockets, removable shevron on a sleeve, warm cuffs, adjustable tunnel hood and waist, one shoulder strap – inspired by polar shoulder strap. Brand details: removable Arctic Explorer patch on a sleeve, shoulder strap.